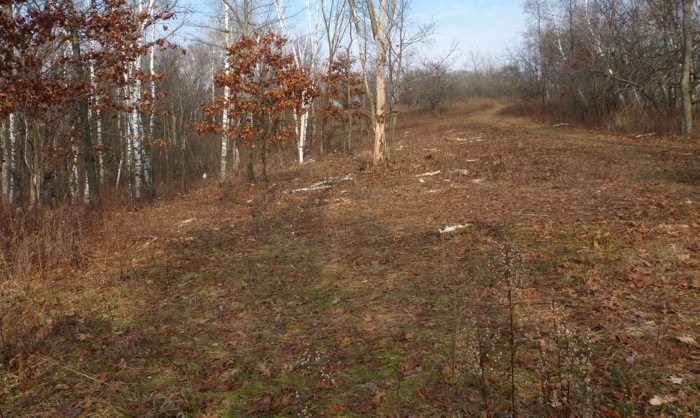 We do this kind of clearing on remnants where there are brush and trees to clear, and we can mow the area afterwards to maintain it. 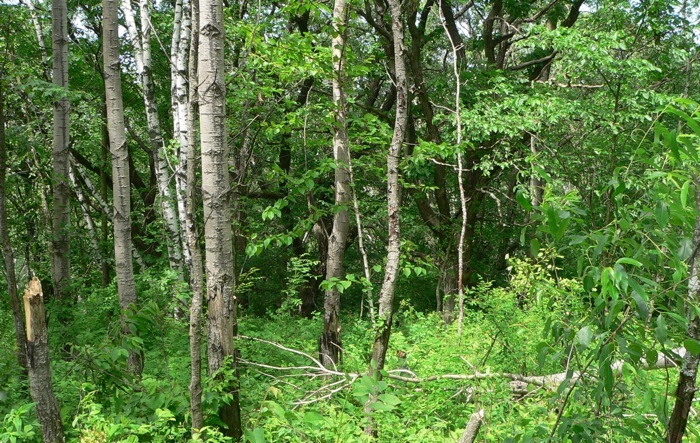 It involves using several different techniques to clear out as many bushes and trees as possible. The number of steps we have to use varies depending on the particular place, but we’ve found that this method works best for us when we do them in this order. These photos are from Hidden Oaks Point. 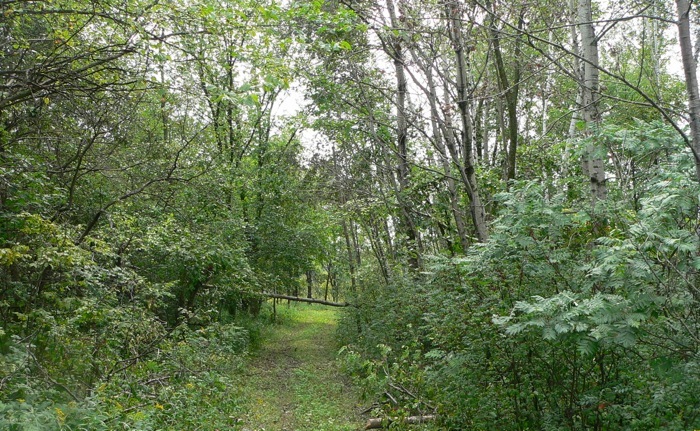 When we bought our land, it was a grove of mixed aspen and birch between two good quality prairie areas. Below the aspens, as the hill begins to slope toward the southwest, there’s a line of old, open-grown Burr Oaks. 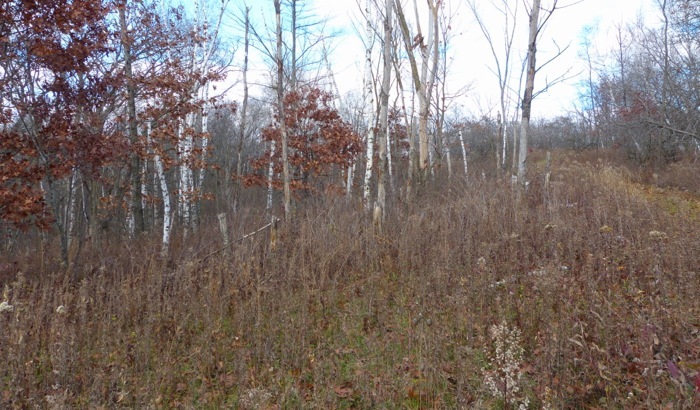 Our goal is to clear out the birch and aspens, leaving an open area which would have savanna on three sides, and a small prairie on the north side. 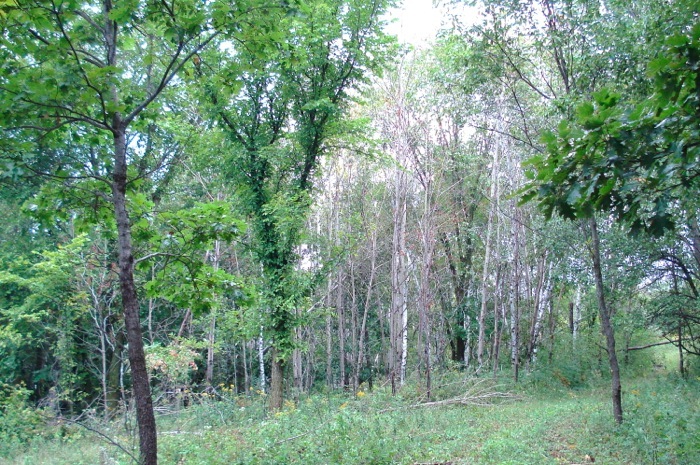 This is the earliest photo I can find of it – after the mature aspens had already been girdled. This was the summer of 2006, and the aspens were dead, but hadn’t started falling down. August 2006 On the right side of the path – with more sunlight, the brush is filling in between the dead aspen trunks. This photo is from a different project, but it shows what happens when the dead trees start to fall. November 2012 We finally decided to tackle the jungle. November 2012 This is part way through the project. 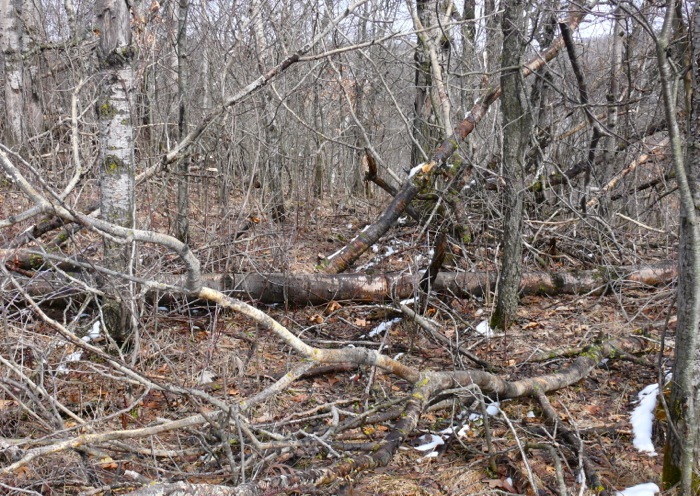 We had cleared a lot of the brush, and made it into piles. November 2012 Done! The brush is gone – we moved the piles away into the woods. 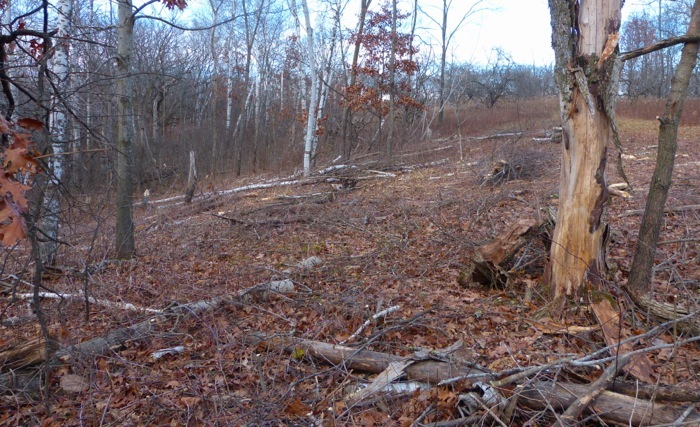 There are still some standing dead trees, and one more area of brush that we should clear. We’ll leave it alone this winter, maybe do some cutting in the spring, and mow next fall or the following spring.